Are there current and important news concerning our house? New structures which were used at the World Ski Championship 2013. New high pressure cleaning system for the grinding stone – gives a perfect structure to the skis in unprecedented quality. 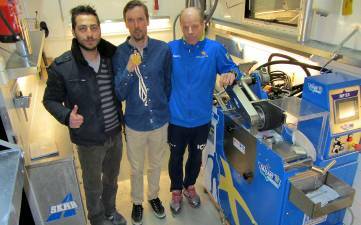 Since summer 2011, the Tazzari sports department has been the official supplier of the Swedish X-Cross-Ski-team. The collaboration agreed for four years includes the 2014 Olympic Games in Sotschi. In the next season, the Swedish service technicians are going to work with the Tazzari RP23, which guarantees maximum speed under all competition conditions. 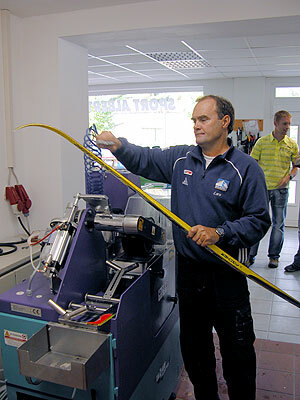 The technicians are in close contact with the head developer of Tazzari, Lars Svenson, in order to test the latest grindings and technologies for the preparation of racing skis. Consequently, the company is further having the possibility to enhance existing technologies. January 20, 2008 - Nordic combined World Cup in Klingenthal. World Cup victory with regard to Nordic combined in Klingenthal by Ronny Ackermann and the second-place winner Eric Frenzel on Nordic Tuning grindings from our company. In very wet conditions, almost all German athletes used skis with the "CD" structure. 19th March Junior World Championship Nordic combined in Tarvisio. 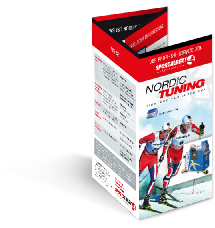 Eric Frenzel from the Saxony intensive training centre Klingenthal won the World Championship title on Sport Albert Nordic Tuning grinding CD 02. 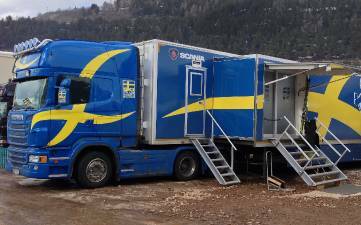 At the Alps Cup in Saalfelden (Austria) as well as at the World Cup in Predazzo (Italy), the German Nordic combined Frenzel and Rostig were able to occupy positions near the top with Nordic Tuning grinding CD02. Their opinion: "In these unfavourable wet snow conditions, our skis were the fastest!" The time has come - commissioning of our new service machines by Lars Svenson.